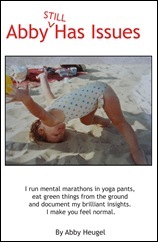 This entry was posted in Uncategorized and tagged advice, chocolate, Dove, random. Bookmark the permalink. I am not a chocolate-loving person (bring on the jellybeans and salty chips, though) — but I think I may have to give this philosophy of life a chance! I feel like the Promises are much more tasty–and accurate–than bland fortune cookies, no? chocolate will always be wiser than me. Not a dessert dude either. But if the answers to life can come in something that induce a diabetic coma…I’m all in. These made me crack up. Like you have a Dove stalker watching your every move. They’re like the magic 8 ball of chocolates, only you don’t have to ask them a yes or no question first. Hahah I agree, the laugh one is a bit weird. I seriously think you have something here. I am trying to think of other types I food I can rely on for helpful advice or direction. I am thinking I will start with Crackerjacks. i wanna here your laugh. Dove is so smart. I wish I had Dove’s phone number. 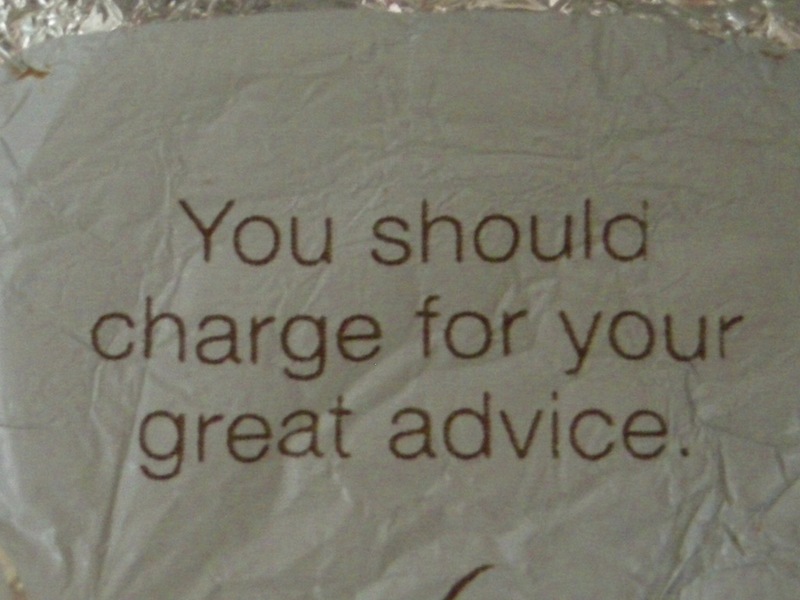 My favorite is “You should charge for your great advice.” Wtf? 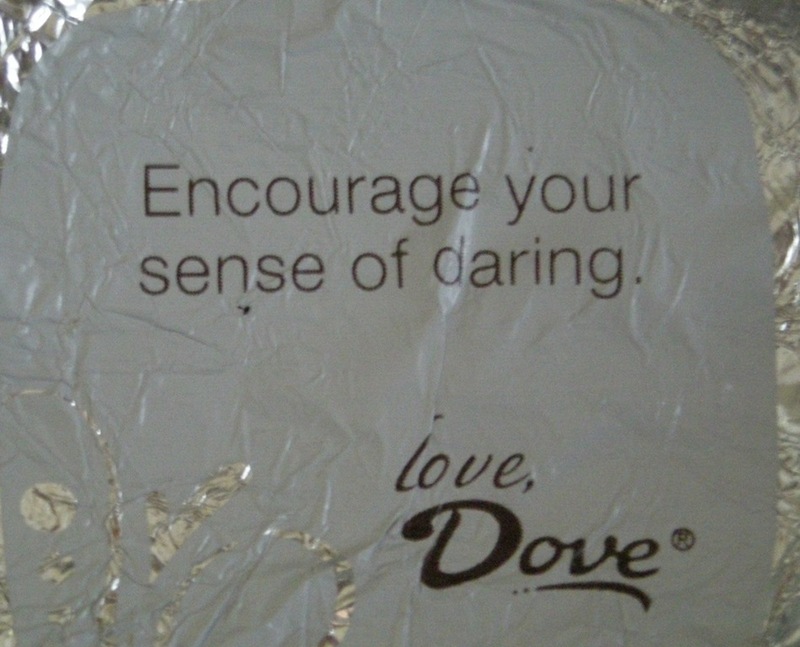 I would love to have the job writing inspirational sayings on Dove. How do I get that job? “Always remember that you are unique. Just like everybody else”. I’ve actually heard that quote before and kind of like it. I only take advice from condom wrappers. I didn’t even know condom wrappers had advice. Again, I prefer food. i’d like to know, what am i being promised here Dove? i’ve lost complete trust in people. maybe chocolate is the answer from here on out. Great, trying to diet today and now I just want dove bars. What a clever, fun post, Abby. I, too, must have a piece of dark chocolate every night. I tell myself it’s for the antioxidants… I lie. Abby, this is sofa king funny! And yeah, how in the world could DOVE know what your smile looks like or what your laugh sounds like? You could be a toothless hyena! Hmmm. Dove bars…much better than that Magic 8 Ball! Think of it as getting hit on by candy! Wow, those Dove promises are way better than any fortune cookie fortune I’ve ever received (tangent: why are those things never “fortunes”? I get so frustrated with that!). I like “your smile is your best accessory”. I’ve worked with the elderly on a few occasions, and I’ve discovered that a smile makes you look more attractive and at least ten years younger! PS – Happy birthday to your gram! My candy never tells me anything but that’s probably because I buy the kind size and I’m beyond advice. Dove’s advice is better than Yogi tea advice. Every once in awhile I get one that seems really inappropriate…maybe they’re somehow just getting to me..
Now, I think this is a great post. I told you. It’s always the ones you think are the throw aways that people respond to. And, you do give good advice. I wonder if Dove and fortune cookies have had it out yet. BTW, love, love the Super Grover reference. Totally got that.